We often get asked about how academics can get students to ask questions in real time during a lecture, using the Future Facing Learning (FFL) toolkit. Giving students the voice and confidence to be able to ask questions is a key part of the FFL project. There are many reasons why this is of use: shy or reticent students can struggle to speak out in sessions; there may be dominant students who take over a class; ESL students might not feel confident with their English ability to voice their opinions, or it may not be in the culture of some students to speak out. This blog post will look at a few different approaches and hopefully signpost you to try these out in your own lectures. 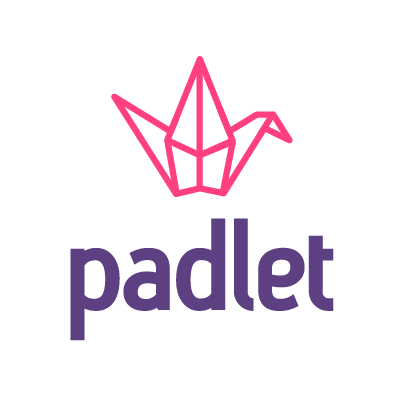 The toolkit comes with a handy app called Padlet. This allows you to create a virtual wall that students can post questions to. They look like post-it notes, and is a really good way to get students to ask questions in real time. As the lecturer, you can look at the wall and see what questions have been posted. A post can be commented on by others – so another student might be able to answer a question that has been posted. You can make the posts anonymous. This can sometimes reduce any fear of posting “stupid” questions and get students to ask the questions they really want to ask! 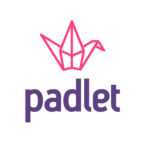 You can get started with Padlet here or browse through their support page here. Microsoft Teams is a great communications tool. You can create a team for your lecture and add students to it. They can also self-enrol if that’s a better choice for you through using a Team Code. Once you’ve got your students in a team, they can post comments and questions. Students have to sign in using their account and so this is not anonymous. Like a Padlet wall, other students can reply to each other thus forming student autonomy and hopefully a community of learning. Click here to get more information about Microsoft Teams. Microsoft Forms is a survey and quiz tool. 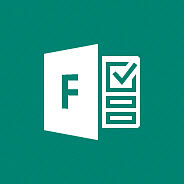 Whilst you can use Microsoft Forms to ask specific questions, you could also use it in a more open context. For example, you can set the form to have just one question using the “text” format. A standard Text question allows for 4000 characters. Switching the format to a “long answer” lets students type in 4000 words. Under the settings of the Form, you can make it anonymous by unchecking the Record Name option. You can also allow students to ask multiple questions by unchecking the “One reponse per person” option. Questions are saved in real time and you can view the responses at any time. Getting started with Forms can be found here. As always, if you have any questions about any of the above, please feel free to drop the Digital Learning Team an email at elearning@tees.ac.uk and we’ll get back to you ASAP. You can also request a Coaching session here if you have a more detailed project in mind. Clicking here will take you to a page where you can find out more about what support we over, including Coaching Sessions. If you’ve used any other apps, do let us know in the comments below – we’d love to hear from you!